Our Inspirational #SheWhoShines Candles Are Here! If you've been following our International Women's Day campaign, #SheWhoShines, you know all about the 10 incredible women we recently wrote blogs about. Those blogs culminated in a vote, so we could narrow down to just 3 women, who we are calling our Legends. The plan for was for the 3 Legends to have their names etched onto special limited edition white candles. Unfortunately, we ran into a problem with the white candles: Due to the brightness of the jar, it was difficult to clearly see the woman's name, and we want everyone who has the candle to be able to see it illuminated beautifully through the glow of the candle. We then discovered that the International Women's Day colour is, infact, purple! This couldn't be more perfect, because our current range of candles are a stunning deep purple. 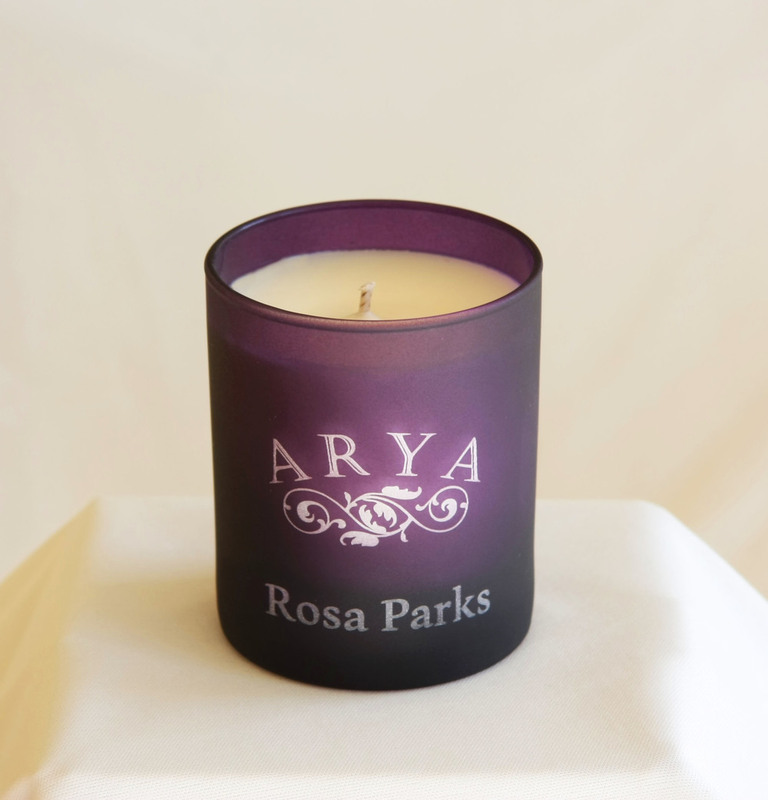 We feel very strongly about the empowerment, education, and equality of women therefore at Arya Candles we support women from war-torn countries via Women for Women International. Through buying our candles, you're helping us to continue sponsoring women, helping them to change their lives. Learn more.